Last week one of my best friends got married! 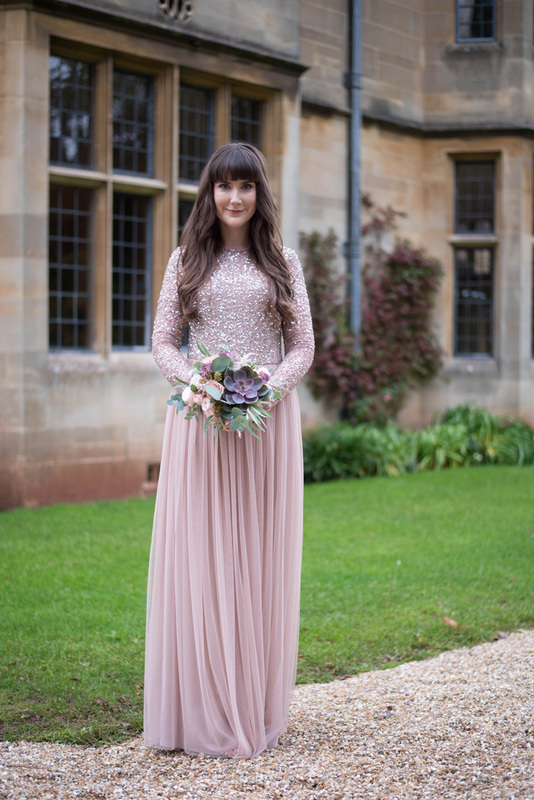 She was the most glamorous and relaxed bride EVER. Her dress was absolutely insane (sooo luxe) and she let her bridesmaid squad pick their dresses, using her theme of gold/sequins. 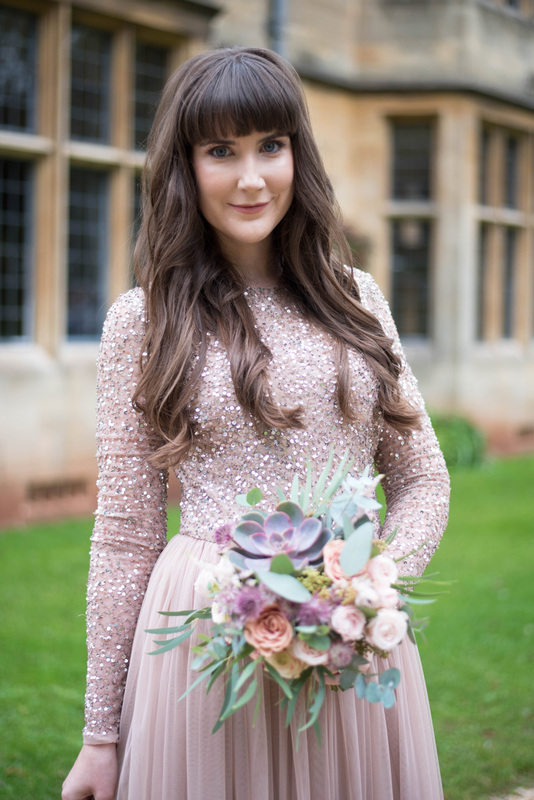 I think it's so important your maids feel confident on your big day and I definitely wanted my ladies to look and feel great at my wedding last year. 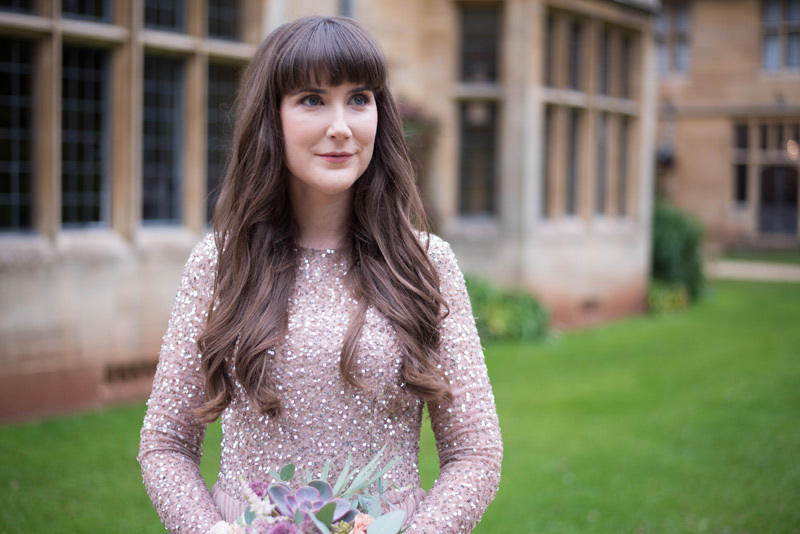 For my friend's wedding, I opted for the Maya long sleeved maxi with sequins and tulle (£90) from ASOS. We had our hair and makeup done by Bristol Bridal Hair and Makeup who I absolutely recommend if you're local. The INCREDIBLE and gorgeous Lorna did my makeup, I was blown away by her skills so I hope to book her again in the future for something else. Unfortunately my hair had dropped by the time I took this photo (after being curled three times) but the girls did a great job, curls just never stay on me! Long straight hair problems. Our hella cute bouquets were created by Rachel at The Rose Shed. I also love her style, isn't the succulent a sweet touch!? 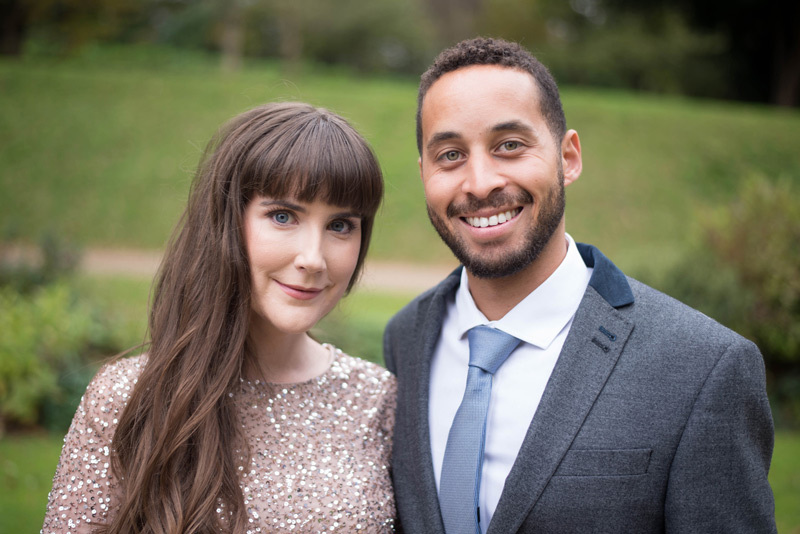 I'm very excited to see the official photos as the fabulous Laura Power was the wedding photographer. She has such a unique photography style and happens to be a ridiculously cool lady. My friend's wedding was simply beautiful and she even gave a speech which had us all in tears. It made me want to get married all over again! If you're curious about my barn wedding you can watch our wedding trailer here from our videographer, Mark Lenik. I didn't really want to share it after our wedding as it felt too personal, but now it's a year on and I'm more open to getting my money's worth ha ha. It's essentially just a one minute teaser with some epic drone footage. Gotta love the picturesque Cotswolds.